The Biwako Canal which brings fresh water from Lake Biwa (Japanese "Biwako") in Shiga prefecture to Kyoto city is credited with saving Kyoto from oblivion. With the move of the Imperial Palace to Tokyo businesses were leaving in droves. 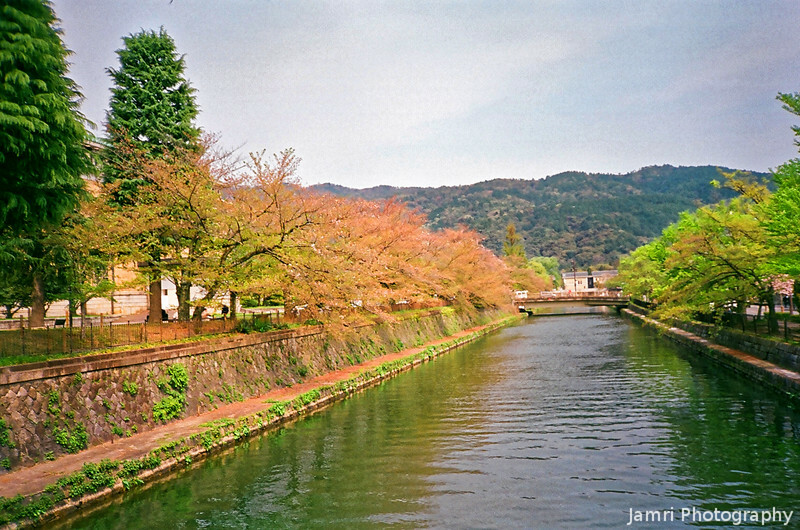 The provision of cheap water from the Lake Biwa enticed many to stay around and Kyoto still is a thriving city. If it had not be for the canal, Kyoto might be a bit of a backwater today. Note film shot: Fujicolor Superia Premium 400. This was on the last role of film I shot with my Canon Prima AF-7 (a point and shot film camera) before it broke (I bought it brand new in 1995).